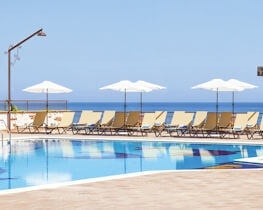 Within a ten minute walk from the pebble beach in the seaside town of Giardini Naxos, Diamond Resort Naxos Taormina offers a friendly, welcome and attentive service. 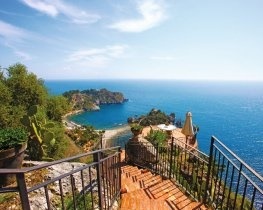 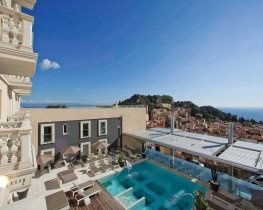 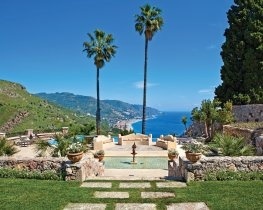 Dating back to the early 20th century, Grand Hotel San Pietro is located a 15 minute stroll from Taormina’s historical centre and enjoys fabulous views over the Mediterranean. 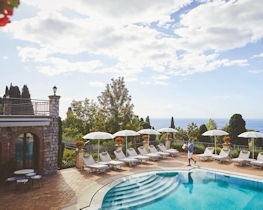 An elegant blend of past and present, the thoughtfully renovated NH Collection Taormina dates back to the early 20th century and offers simply stunning views over the Bay of Naxos and Taormina.